Coral reefs are incredible habitats, teeming with life and estimated to support an amazing 35 percent of all known marine species in the areas surrounding them. So, despite covering less than 0.2 percent of the ocean, they are extremely vital ecosystems for the health of the species that rely on them for survival. Despite their importance, coral reefs are under threat from a variety of factors including ocean acidification, destructive fishing practices, climate change and changing oceanic temperatures, to name but a few. 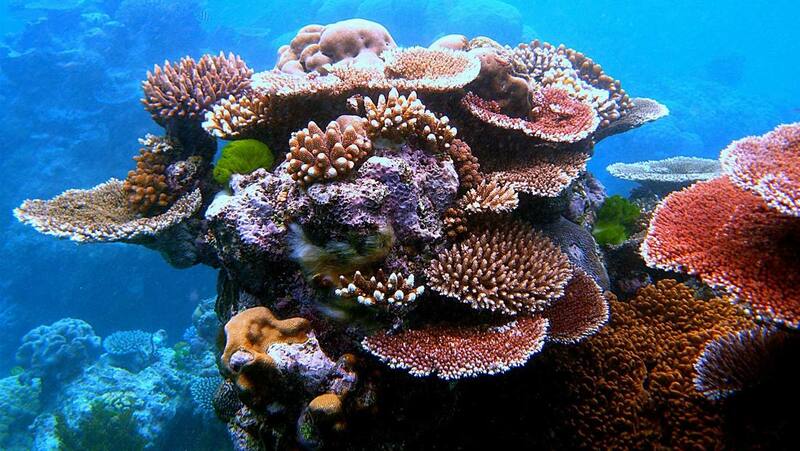 It’s thought that reef ecosystems can become more resilient and better able to resist these threats if they are connected to other reef systems – sharing individuals and genes throughout separate reefs. Identification of these ‘connectivity pathways’ can be a challenge for marine biologists, but a team from Plymouth Marine Laboratory has now traced these pathways for an area in the Red Sea. The study, titled ‘Sensing coral reef connectivity pathways from space’ was published in the journal Nature Scientific Reports, on August 24. The first step in identifying and subsequently mapping these connectivity pathways was to review a range of coral reefs using satellite observations. The idea is that these pathways are often made up of dynamic features such as ocean eddies and currents, which allow marine life to flow from one region to another. Once a potential pathway had been identified, the team then tested their results against genetic information for the Red Sea’s anemone fish (Amphiprion bicinctus) and found that their predicted pathways did indeed appear to allow larval stages of marine life to travel from reef to reef. Many models which could provide data for identification of these pathways are both expensive and require the collection of data which is challenging to gather. Now, this new system certainly appears to provide a viable alternative which could well be used to help the introduction of effective management for these reefs. The design of marine protected areas could take into account the extra information provided when these pathways are identified, with boundaries reflecting the interconnectivity between different reefs. Additionally, areas where there is a lack of detailed oceanographic data, due to either cost or a lack of resources, could certainly benefit from being able to use freely-available satellite data to carry out the initial surveys in order to identify these pathways.